Insurance premiums and unreimbursed expenses both qualify as deductions. 1. Can I Deduct My Health Insurance? 2. Can Non Prescription Drugs Be Claimed as an Expense on Schedule A? 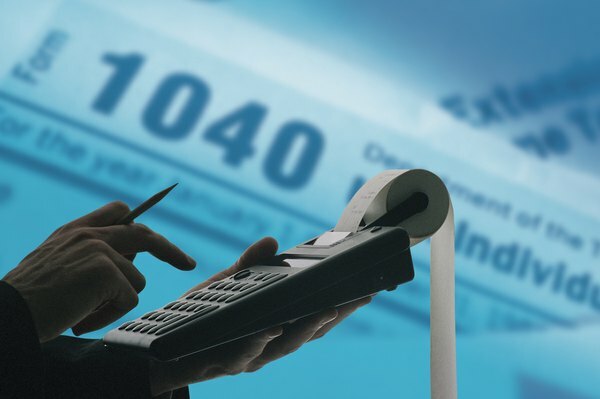 The Internal Revenue Service gives you a choice at tax time. You can itemize your deductions or take the standard deduction, choosing the option that reduces your taxable income the most. Medical and dental expenses and insurance costs are deductible if you itemize. You can combine them and subtract the total, but several rules and limitations apply. You can include your health insurance premiums in your medical expenses deduction to the extent that you personally pay them. If insurance is a perk of your employment and your employer foots the bill, you can't claim the cost, nor can you deduct any contributions you make to an employer-sponsored insurance plan with pre-tax dollars. If you pay for Medicare supplemental insurance, these payments are allowed. Qualified medical and dental expenses must be unreimbursed – if your insurer pays you back for an out-of-pocket expense, it's not deductible. Therefore, if you've got a good insurance plan, your actual medical and dental expenses may be limited to co-pays and deductibles. You must incur the expenses for preventing, diagnosing, treating or curing an ailment or condition. This rules out deductions for most cosmetic surgeries unless they're necessary to improve your health. You can deduct co-pays for prescriptions, but not for over-the-counter medicines, and this includes nicotine products to help you quit smoking. Insulin is covered, however, even if you don't need a prescription for it. Itemizing involves completing and filing Schedule A with your tax return, and a limitation applies to the medical expense category on this form. Although you can combine your insurance and out-of-pocket expenses, you can only deduct the portion that exceeds 7.5 percent of your adjusted gross income after you add them together. Beginning with the 2013 tax year, this threshold increases to 10 percent unless you're 65 or older. For example, if your combined expenses are $15,000 for the year, and 7.5 percent of your AGI is $11,000, you can only take a deduction for $4,000. If your combined expenses are less than $11,000, you can't take the deduction at all. However, you can include expenses for yourself, your spouse and your dependents when reaching the total. You can even deduct medical expenses you pay for your child even if you can't claim him as a dependent because his other parent is taking the exemption for him. If you're self-employed, your insurance premiums may be deductible even if you don't itemize and combine them with your out-of-pocket costs. If you can't be covered under a subsidized plan, such as through your spouse or a previous employer, you can deduct your family's premiums on the first page of your Form 1040, above the line. They're not subject to the 7.5 percent rule. You can then deduct your unreimbursed medical and dental costs on Schedule A by itemizing. You can also deduct contributions to a health savings account above the line, but only up to $2,500 for some HSA plans beginning in 2013. WorldWideWeb Tax: Can I Deduct Medical and Dental Expenses on My Tax Return?